The demand for physical premises in which to house servers and other equipment is increasingly sharply in Gothenburg. Operators’ customers have a pressing need to be able to use strategic nodes in the form of datacenters in order to develop robust data communication and gain access to Göteborg Energi’s fibre infrastructure. With this in mind, Göteborg Energi constructed a modular datacenter during the spring, which was completed in the summer of 2018. Göteborg Energi is an independent, neutral city fibre network which works towards a sustainable Gothenburg. The strategic choice of modular construction allows the datacenter to be seamlessly extended in line with customers’ increasing requirements and demand for output. The datacenter infrastructure’s flexibility in terms of connectivity, power and cooling supply enables it to dock with additional server centre modules. This ensures it is ready, whether the module is intended for traditional servers or OCP technology. Renewable energy is used without exception, and the heat generated can be recycled in Göteborg Energi’s district heating network. A fully deployed datacenter can generate around four gigawatt hours of thermal energy, which is sufficient to heat 200 houses. For a little over 20 years, I’ve been lucky enough to design and deliver datacenters to both large and mid-sized customers. What all these projects have in common is that following a long process of identifying needs, there is always a rush to get the new datacenter up and running. By prefabricating a datacenter in a controlled, efficient factory environment, with groundwork and other infrastructural work taking place on site, a modular project can become operational more quickly than its equivalent build on site. We are extremely proud to have been part of the overall project involving Göteborg Energi’s innovative and modern datacenter. Göteborg Energi’s success in combining excellent availability for IT operation with a green, sustainable facility dovetails perfectly with our core values to make a difference for society as well as individuals. 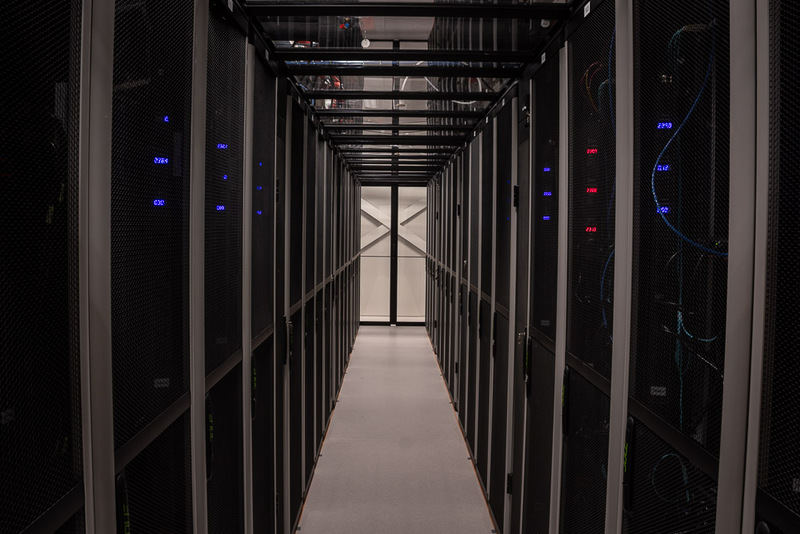 IT is one of the world’s fastest growing industries, and collaboration is crucial to ensure datacenters are to be an asset for the environment, rather than a burden. The project with Göteborg Energi is an excellent example of this type of value-creating collaboration. Modular construction (MDC). Planned total datacenter area spanning around 500 m2, divided into a number of data rooms. Each customer module spans around 90 m2. Backa Datacenter complies with PTS requirements in order to be used for assets under class A.
Swedish Modules delivers prefabricated, high-specification modular structures within our business segments; Medical and Datacenter & Power. With over 40 years’ experience in modular construction, we’ve provided upwards of 3,500 high- quality modules to more than 30 countries all over the world. We develop and manufacture solutions adapted for critical societal infrastructure and constantly strive to create greater function and value for our customers and their business. All our modules are manufactured in a safe work environment at our factory in Emtunga, Sweden. Swedish Modules has offices based in Emtunga and central Stockholm.